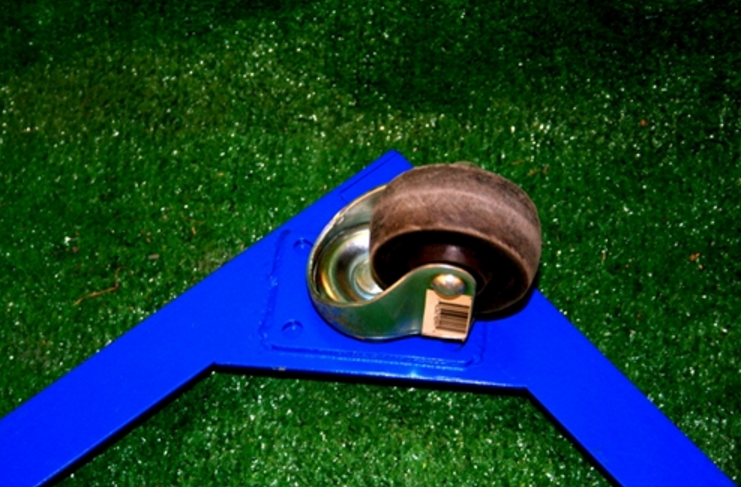 A 4 wheel rolling base for any size lightweight wire dog crate is made of heavy gauge steel, galvanized or painted. It is one piece with wheels. 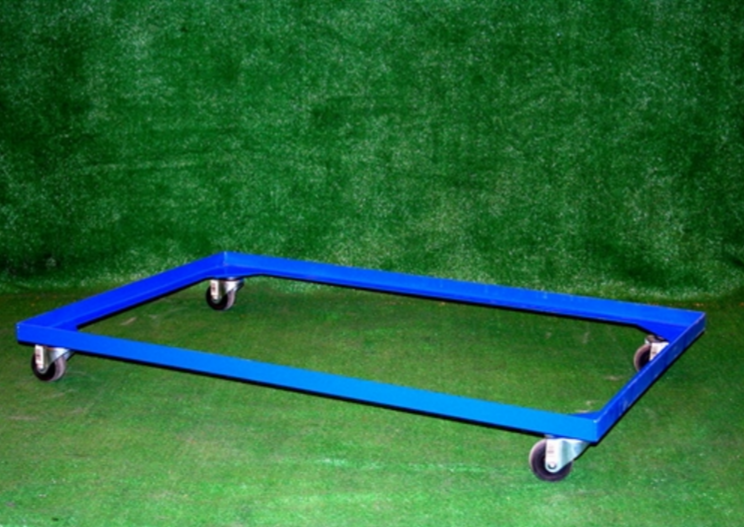 The rolling base eliminates lift-and-carry difficulties. 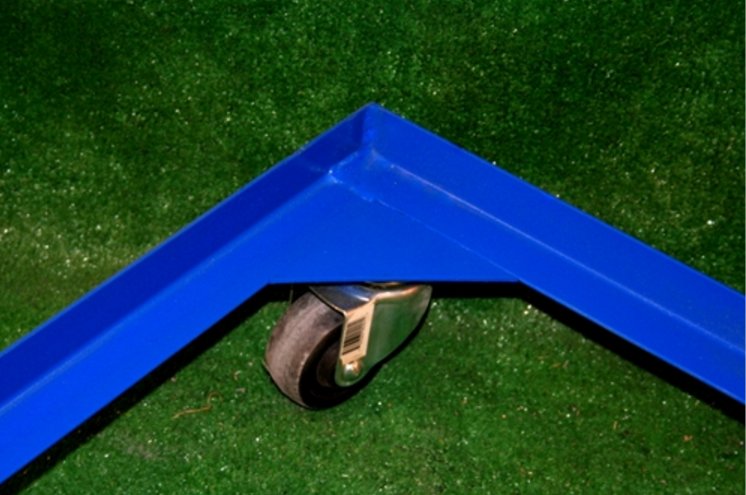 A strong base made with steel angle iron then painted or galvanized silver. 4 sturdy wheels are added and you have a base for your dog crate. Shipping for these bases is $25. Shipping will need to be quoted when the longest dimension is over 48". With so many different sizes of crates on the market, we must ask you to Call 800-640-1364 or email support@carrymydog.com with the size of your crate(s).